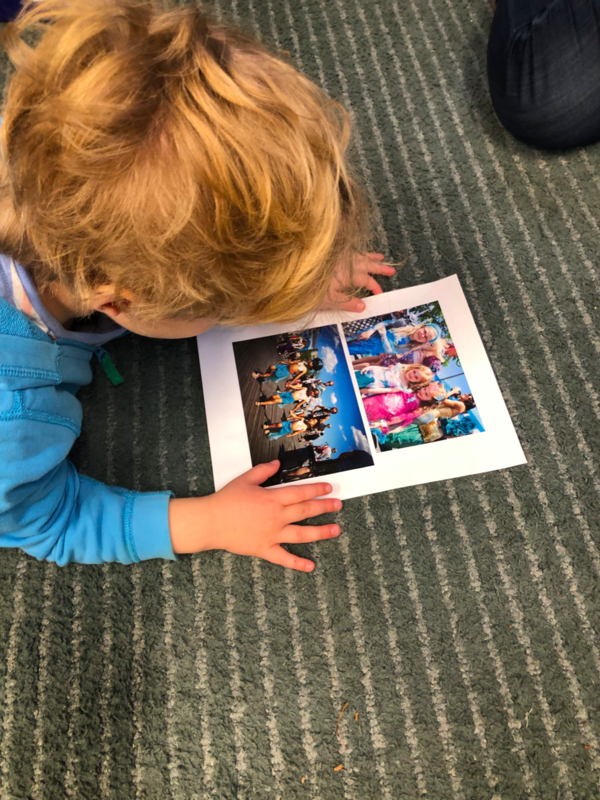 Preschool students in Makai Kellogg's class at School for Friends explored the guiding principles of queer and trans-affirming during a storytime reading of Jessica Love’s Julian is a Mermaid for D.C. Black Lives Matter at School Week of Action. Kellogg paused as students focus on the book’s illustrations and the grandmother’s facial expression. Kellogg then asks students what they think the grandmother is thinking and will do next. Proudly joining his fellow mermaids, Julián parades with others along the beach covered in vibrant colors. Kellogg connects the book’s joyous ending to the real-world Coney Island Mermaid Parade. 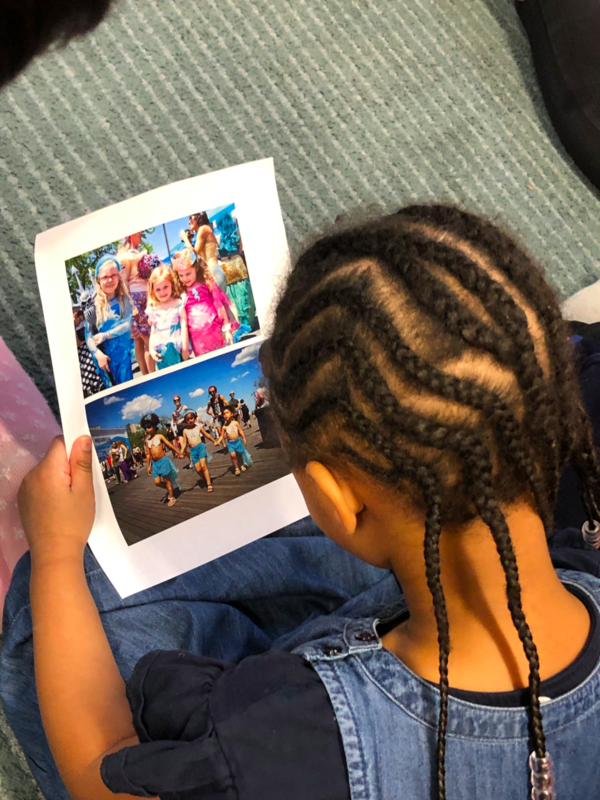 Sharing photos from the annual parade held in Brooklyn, New York, students explored images of children and adults celebrating at the mermaid parade while referencing the story they just read. A radiant celebration of diversity and unconditional love, Julián is a Mermaid, wonderfully communicates the Black Lives Matter queer and trans-affirming principles to even our youngest learners. Makai Kellogg is on the D.C. Area Educators for Social Justice Anti-Bias Education Leadership Team. Learn more about her work at Makai's Early Childhood Equity Endeavors. Our appreciation to Candlewick Press for their donation of copies of Julián is a Mermaid for Black Lives Matter at School Week of Action in D.C.